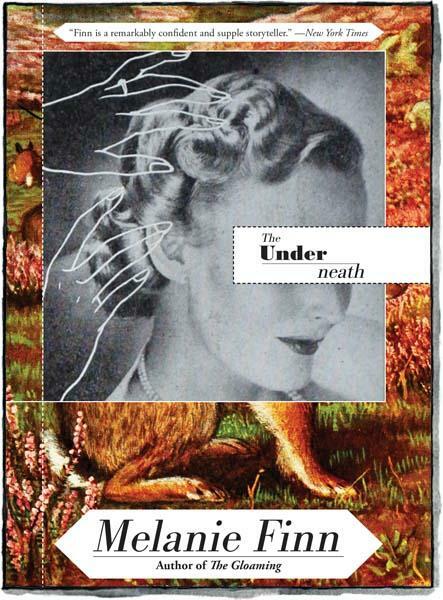 Author Melanie Finn discusses the development of her latest literary thriller, The underneath, which is set primarily in Vermont’s Northeast Kingdom. Finn is the author of two earlier novels including The Gloaming, a 2016 New York Times Notable Book. Born and raised in Kenya until age 11, she then moved with her family to Connecticut. After working as a freelance journalist and screenwriter for 20 years in six countries, she wrote her first novel, Away From You in 2014. Free and handicapped accessible. First Wednesdays Series. Douglass and Lincoln — one born a slave, the other born dirt poor — became respectively one of the nation’s greatest orators and one of its greatest presidents. Harvard professor John Stauffer examines their friendship, the similarities in their lives, and their legacies. Randall discusses the man and the musical, with excerpts from its score. Watch Paul Whalen's Ted Talk HERE. Visit Emily Bernard's faculty page HERE. Celebrated literary critic Ilan Stavans will share his experience teaching Shakespeare in correctional facilities in a talk at St. Johnsbury Athenaeum on November 2 at 7:00 pm. His talk, “Hamlet in Prison,” is part of the Vermont Humanities Council’s First Wednesdays lecture series and is free and open to the public. Stavans will discuss his teaching of Hamlet in correctional facilities, and share insights his classes have made about the play and revenge, freedom, and redemption. Stavans is an internationally known, award-winning cultural critic, linguist, translator, public speaker, editor, short-story writer, and TV host, whose best-selling work focuses on language, identity, politics, and history. Born in Mexico in 1961 into a Jewish family with roots in Eastern Europe, he was raised in a multilingual environment. He is the recipient of numerous awards, fellowships, and other honors, including an Emmy nomination, a Guggenheim Fellowship, the National Jewish Book Award, the Latino Hall of Fame Award, Chile’s Presidential Medal, and several grants. He is Lewis-Sebring Professor in Latin American and Latino Culture at Amherst College. His many books include Spanglish: The Making of a New American Language and Quixote: The Novel and the World. Robert Ford served as the United States Ambassador to Syria from 2010 to 2014. In 2012, he was awarded the Profile in Courage Award by the John F. Kennedy Library Foundation for his work.